Pazuzu is perhaps the Elvis Presley of the demon world who turns up in a lot of places almost quite acceptably. 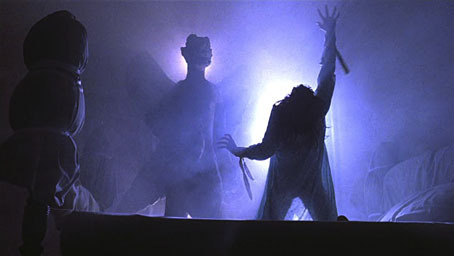 The ancient Assyrian demon whose statues and reliefs stand in the Louvre in Paris curiously turned up as the demon who possesses a young girl in the movie "The Exorcist" (1973). 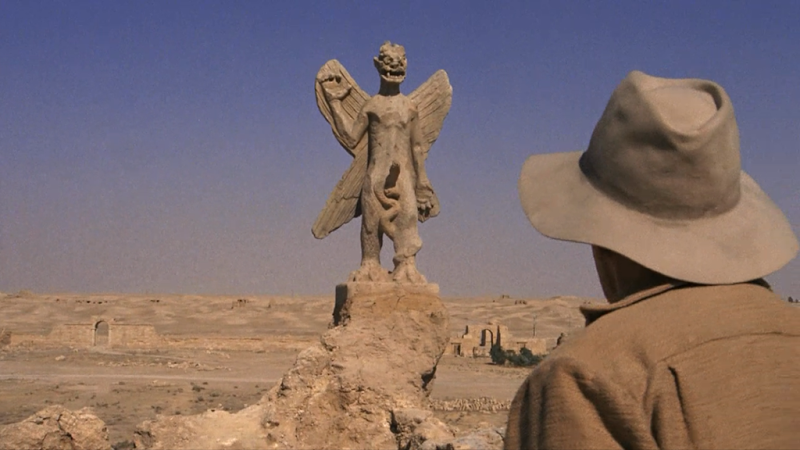 Why he should pop up like that in the film seems rather curious in terms of the history Pazuzu who was a demon invoked to protect birthing mothers and infants against the demoness Lamashtu's malevolence. 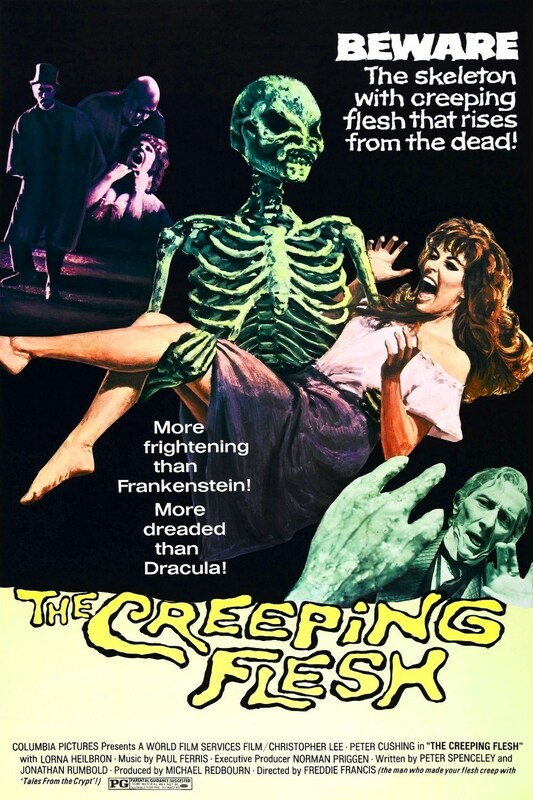 However in that film, he is evoked through use of a ouija board and the name has crept up as a demon associated with Ouija Boards, named Zozo, How long this has been going back, before or after The Exorcist, seems unknown, its origins seem dubious but some might think that Pazuzu and Zozo are connected today. However there are questions to ask about whether the Pazuzu iconography, such as whether it might have been influenced by that of Egyptian protective god Bes which is an idea agreed with in the book "Assyria to Iberia at the Dawn of the Classical Age" which also refers to a classification made by an Anthony Green who co-authored "Gods, Demons and Symbols of Ancient Mesopotamia: An Illustrated Dictionary"
However the name Zozo comes up in the Dictionnaire Infernal published in 1818 by Jacques Collin de Plancy by Jacques Collin de Plancy. The first reported appearance of this entity occurred in 1816, when a young girl in Picardy, France fell victim to a severe demonic possession (this according to the Dictionnaire Infernal, published in 1818 by Jacques Collin de Plancy). She became possessed by three demons with given names, one of which was named Zozo while the others were Mimi and Crapoulet who were not associated with any later well known demons. Pazuzu guest stars in the Howard the Duck comic book . c) Further expansion into occult pop culture. Pazuzu's name is mentioned in The Necronomicon by Simon and amongst the names included in William Burrough's dedication in his novel "Cities of the Red Night " that appear to be a reference to "Cities of the Red Night". Because of its curious celebrity cinema oddity, it would be reasonable cast its shadow around discussion about Alien and Giger's work in terms of pop culture influence. Giger was aware of the movie The Exorcist, he had become inspired by the theme tune by Tubular Bells that was on the Virgin Records label, along with the design of the record label itself for the 1974 painting The Spell II . 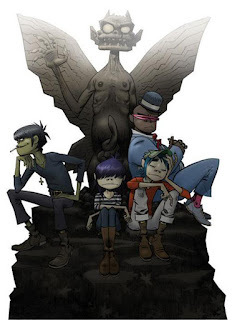 By 2002, he would feature in issue 3 of the comic book Howard the Duck III (April, 2002) and in imagery associated with the band The Gorrillaz such as on the cover of the 2006 compilation Phase Two: Slowboat to Hades. Phase Two: Slowboat to Hades is a compilation DVD by Gorillaz, released in October 2006. The Pazuzu in the Exorcist compared to the adult Alien.